Kinetic Energy Penetrator is a modern type of armour piercing weapon like a bullet that requires a kinetic energy to penetrate the target. These offered devices are made by using tungsten alloy so that these can release maximum Kinetic energy on the target. Kinetic energy penetrator is also known as a Long Rod Penerator which is a type of ammunition uses kinetic energy to penetrate the target. It does not contain any type of explosives and generally integrated with two type of shells- high explosive squash head and high explosive anti-tank. Manufactured by using best in class material, the Kinetic Energy Penetrator utilize its kinetic energy based on the functionality of velocity & mass to force its way to the armor. 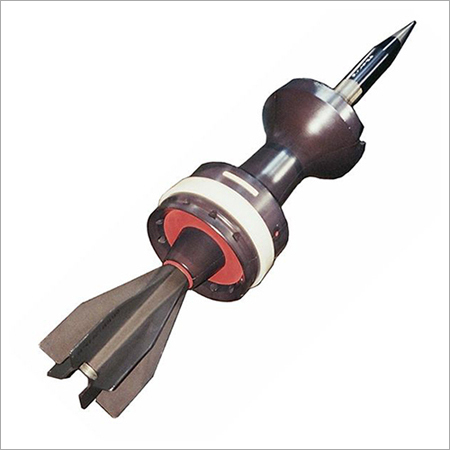 The advanced kinetic energy penetrator, we are producing maximizes the kinetic energy and minimizes the particular area on which it is delivered as it is fired with high velocity. With the purpose to maximize the amount of kinetic energy, we uses dense material such as depleted uranium (DU) alloy or tungsten carbide to manufacture Penerator. Due to abrasion, the mechanism of kinetic energy penetrator can be defeated thus, we covered it with superior grade coatings.